St. Paul’s Church traces its origins to 1843 when the corner of Grace and Ninth Streets across from Capitol Square was selected as the site for a new Episcopal church. The landmark building, consecrated in 1845, is a masterpiece of the Greek Revival style and a stately complement to Thomas Jefferson’s temple-form Capitol across the street. Our history mirrors the struggles of our state and our country to establish social justice for all. In our early years, slave labor built the church, many of our members enslaved their fellow Christians, memorials were erected to honor Confederate leaders, and parishioners helped write Virginia’s Jim Crow laws. Change came in the early twentieth century when St. Paul’s began to transform itself into a “dynamo of power … for missionary service everywhere,” as Rector Walter Russell Bowie said. Over the years church members have led efforts to deal with Richmond’s social problems ranging from poverty to poor public education. We have vigorously opposed state-sanctioned segregation, supported racial reconciliation efforts of the national church, and nurtured a dozen start-ups that continue to advocate for public health, education, and fair housing. Read more about our ministries and committees here. 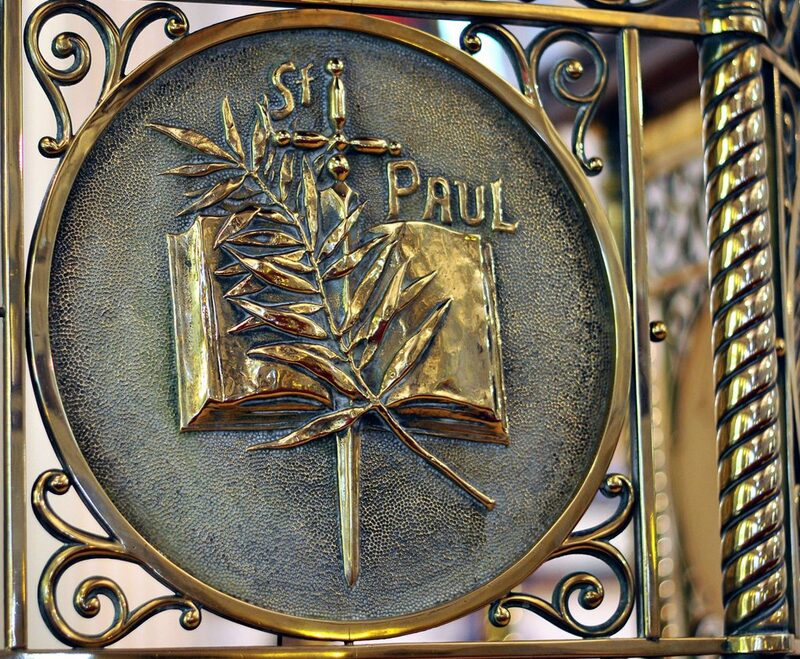 St. Paul’s is engaged in a History & Reconciliation Initiative (HRI), a commitment to understand and acknowledge the racial history of St Paul’s in order to repair, restore, and seek reconciliation with God, one another, and the broader community.